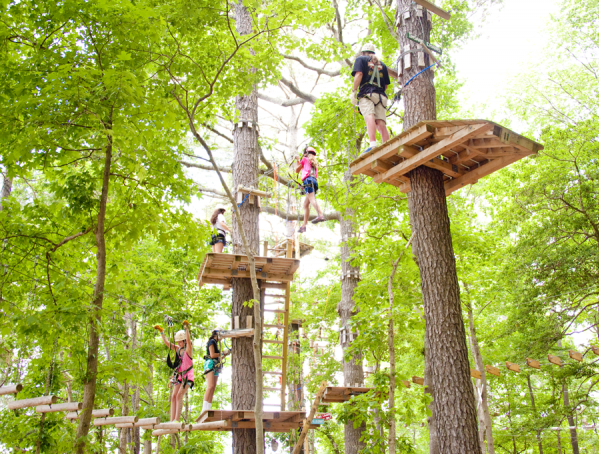 Choose from one of our three high ropes courses. Activity takes approximately 4 hours and is $25/person. We also have two lunch options for groups: a basic spread which includes a drink and a meal for $5/person or a full spread qhich includes a drink, meal, sides and dessert for $7/person. Ask about our group rates at the campground!